Cell Structure and Function is an international, peer-reviewed, Open Access journal publishing articles in all areas of molecular and cell biology. Published continuously online, the journal is fully indexed in MEDLINE, SCIE, Scopus, DOAJ and other major databases, and has a Journal Impact Factor of 2.391. The official English-language journal of the Japan Society for Cell Biology, CSF welcomes submissions from around the globe. Cell Structure and Function was launched in 1975 to serve the international molecular and cell biology communities. The journal is fully Open Access, and authors benefit from rapid peer review and a large global audience. 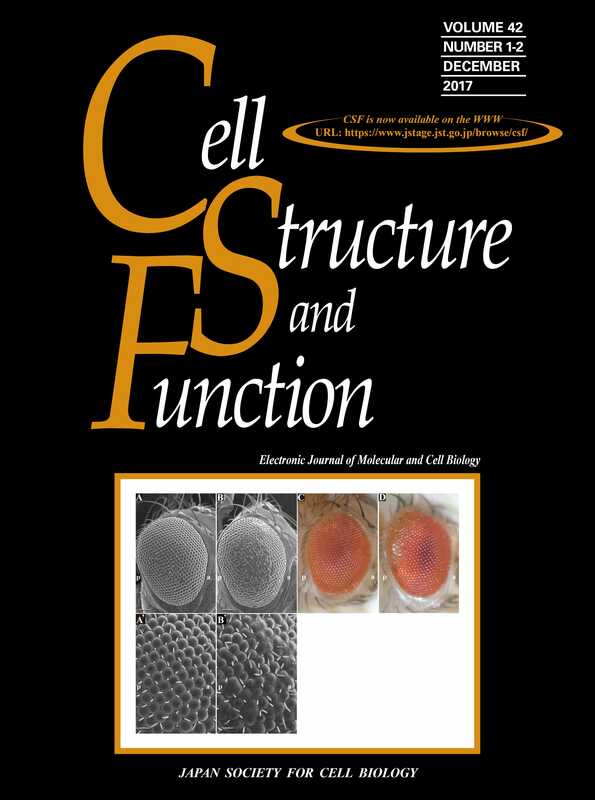 Cell Structure and Function is a fully peer-reviewed, fully Open Access journal. As the official English-language journal of the Japan Society for Cell Biology, it is published continuously online and biannually in print. Cell Structure and Function supplies comprehensive and clear Instructions to Authors, which offer guidance on article types and format, journal policies, and how to submit manuscripts. The journal welcomes submissions from around the world. Please consult the Instructions to Authors and the Author Checklist and then submit your manuscript to the Cell Structure and Function ScholarOne site. The Japan Society for Cell Biology and Cell Structure and Function aim to serve the molecular and cell biology communities. By publishing your work in the journal, you and your co-authors benefit in many ways. Our readers, authors and referees often have questions about Open Access. We present a range of FAQs that detail our licensing conditions, charges, and other aspects. 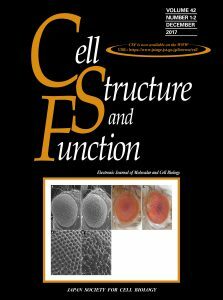 Cell Structure and Function greatly appreciates the generous contribution of referees to the journal’s quality and reputation. The Guide to Referees helps our reviewers prepare their reviews, which can be submitted via ScholarOne. Scholarly publishing continues to develop rapidly. Over the past few years, we have witnessed many developments – including the continued rise of Open Access, new applications of technology, ethical considerations and more. The Editorial Board is led by Editor-in-Chief Hiderou Yoshida who is Professor of the Department of Biochemistry and Molecular Biology, Graduate School of Life Science, University of Hyogo. He is supported by over 100 Associate Editors, an Editorial Board and an International Editorial Board. The Japan Society for Cell Biology (JSCB) was founded in 1950 to bring together cell structure and function researchers. The JSCB has over 1200 members in the fields of science, medicine, pharmacology and engineering. For editorial, production or other enquiries, and to contact the Editor-in-Chief, please contact the Editorial Office.